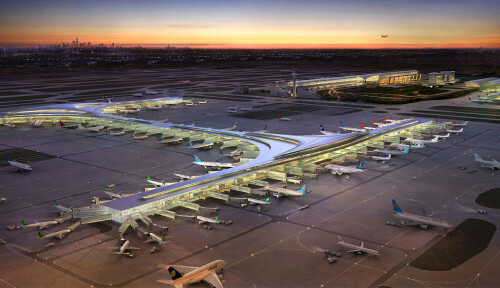 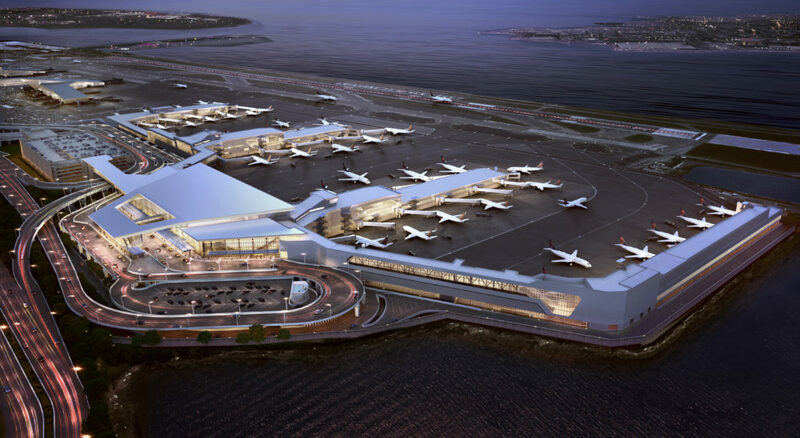 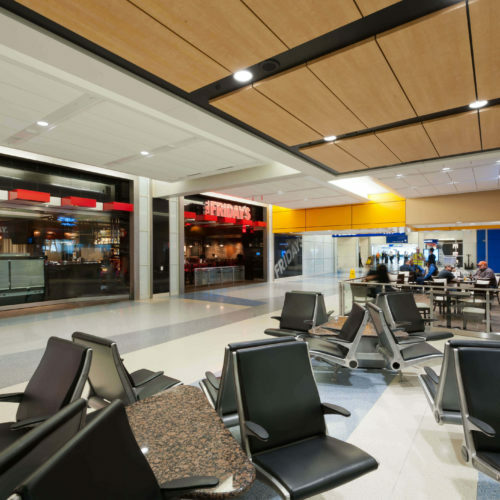 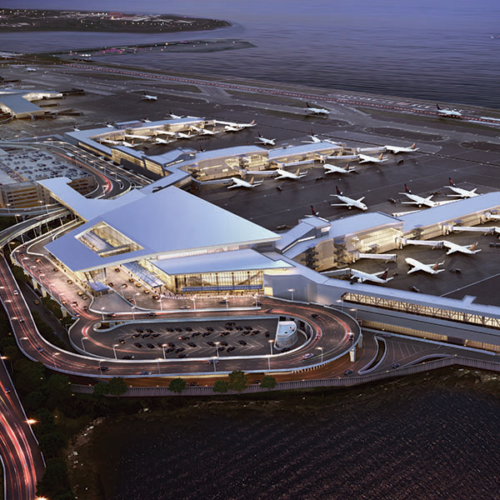 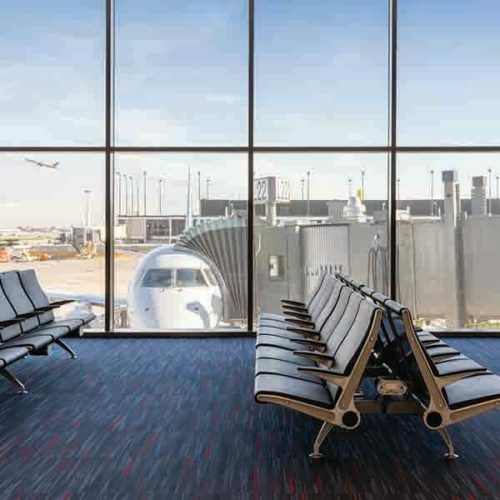 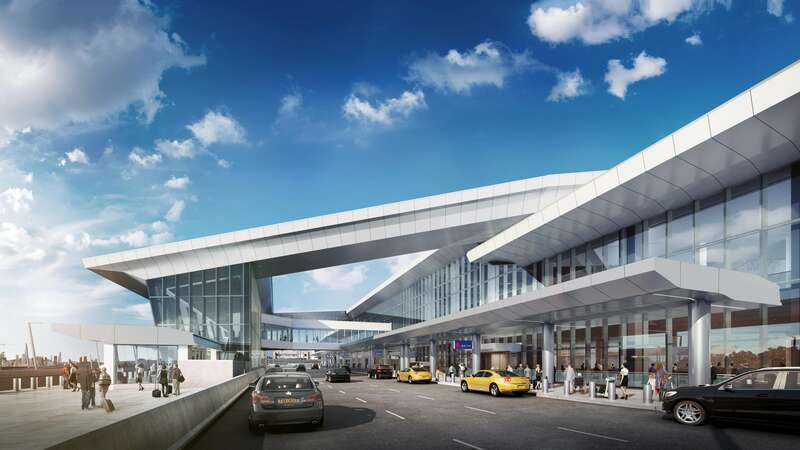 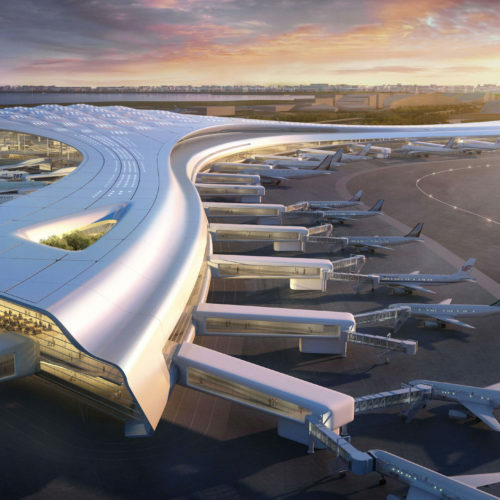 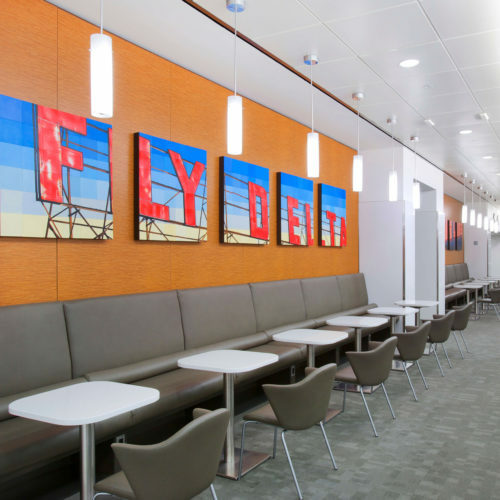 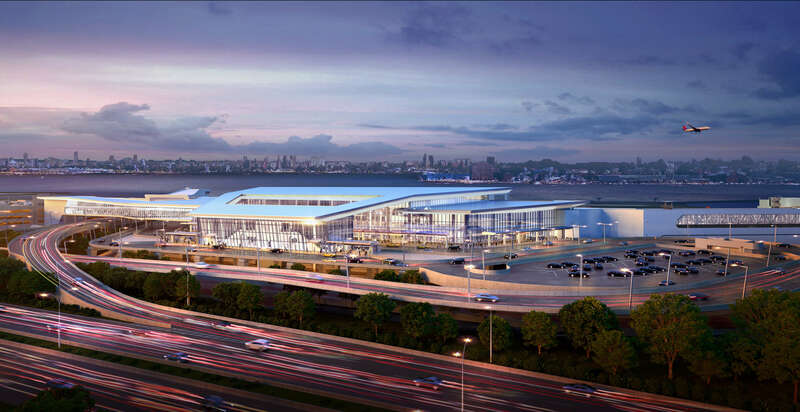 The New Delta Terminal Project at LaGuardia Airport in New York is a new terminal for Delta Air Lines that will replace their existing C and D Terminals. 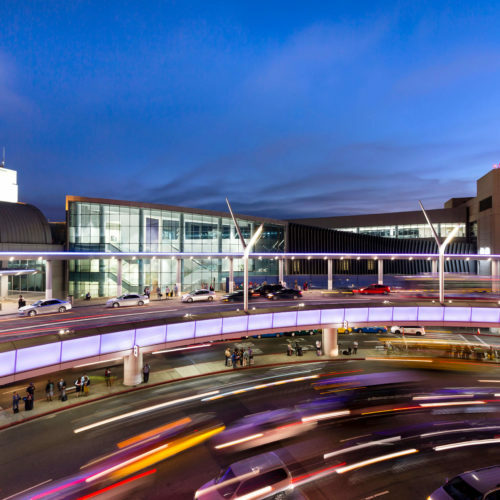 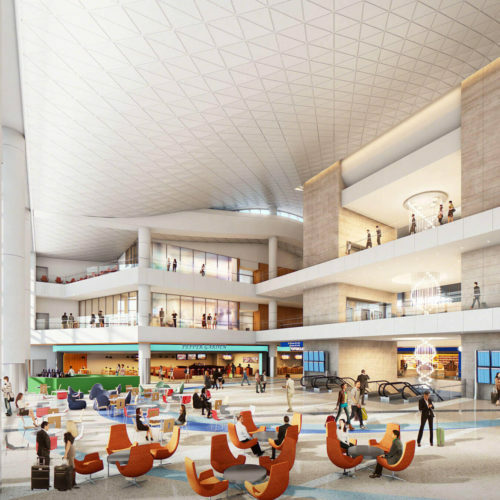 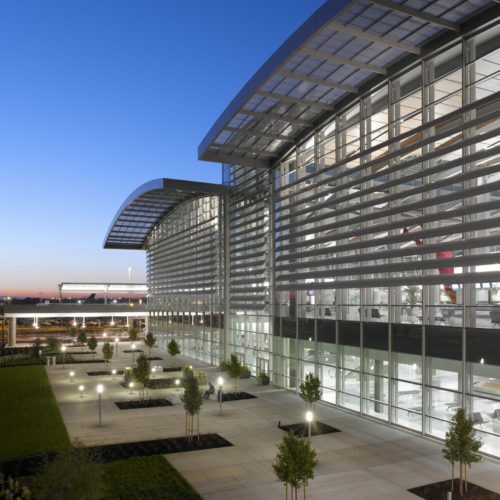 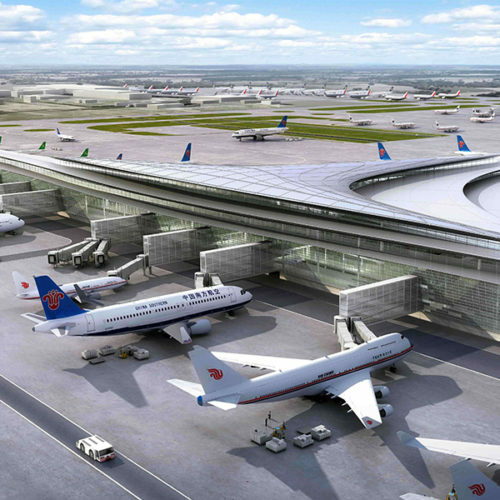 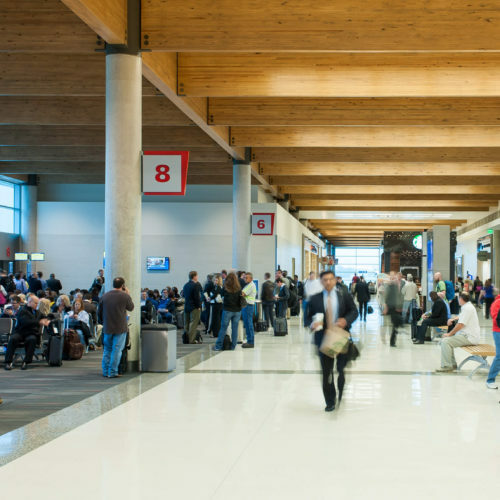 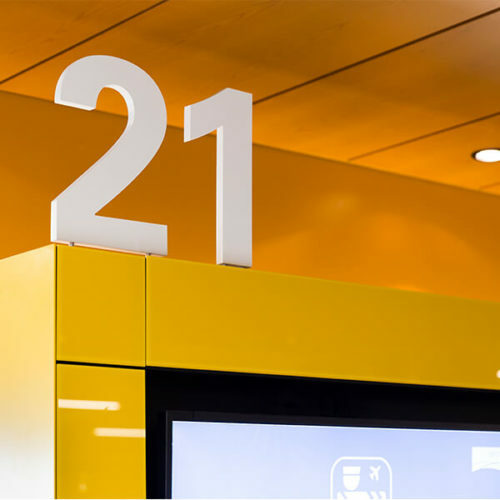 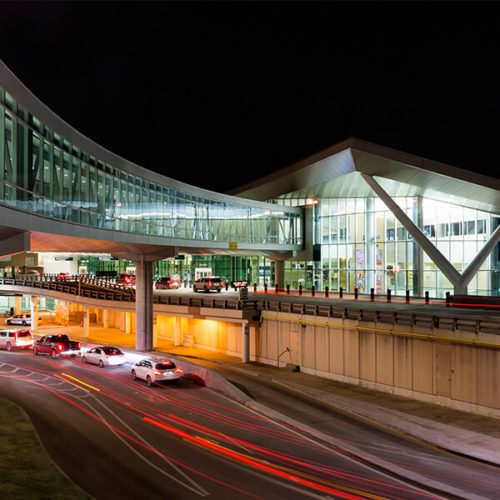 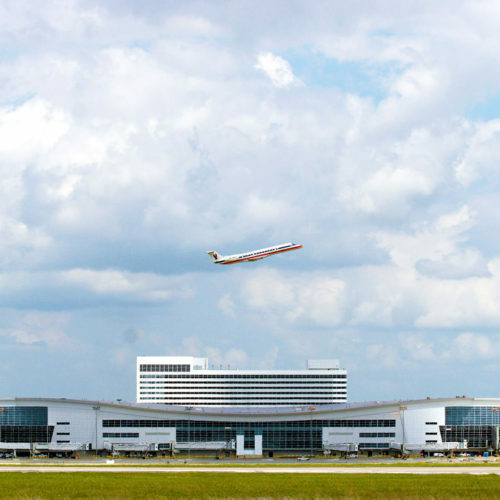 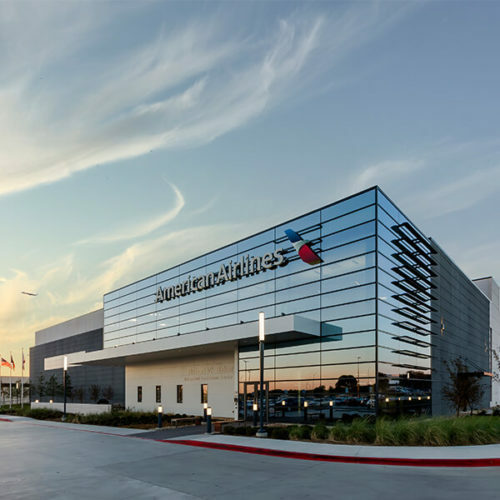 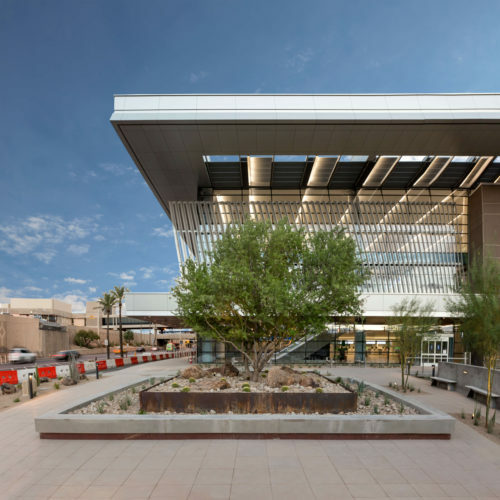 The new terminal will consist of 37 gates located on four concourses connected by a centralized check-in lobby, security checkpoint, and baggage claim. 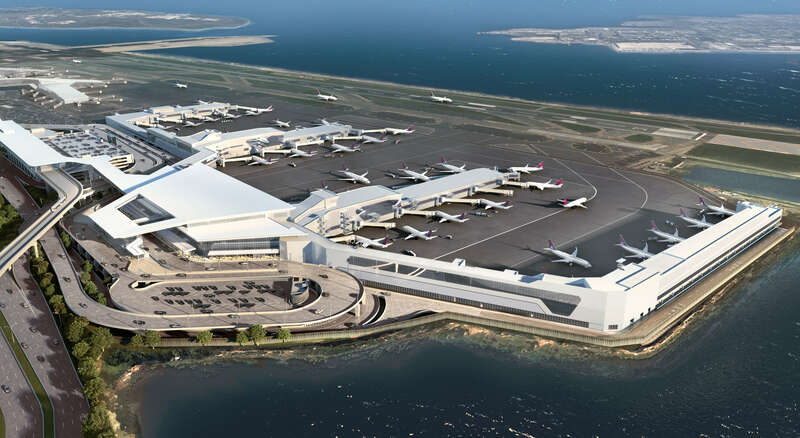 The gates will have access to dual taxi lanes, which will greatly improve airfield efficiency, resulting in reduced taxi time to and from the gate before take-off and after landing. 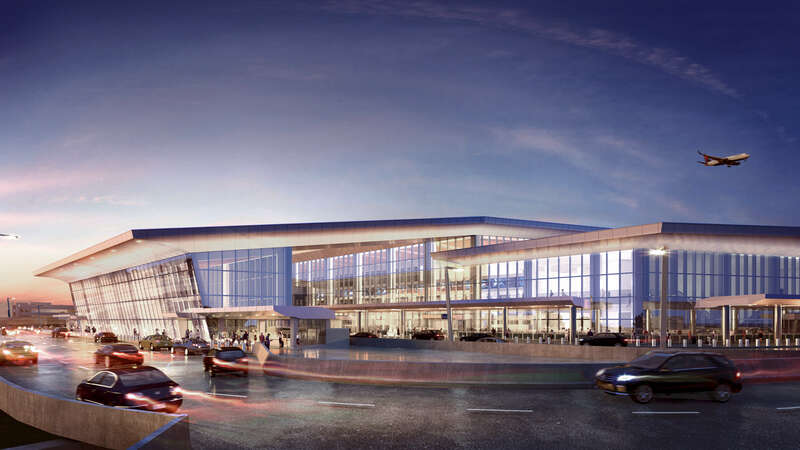 The terminal will feature a new, larger Delta Sky Club with a Sky Deck, wider concourses, larger gate holdrooms and more seating, as well as 30 percent more concessions space than the existing Terminals C and D. The facility will also offer direct access between the parking garage and terminal, improved roadways and drop-off/pick-up areas, and a curbside check-in bypass leading directly into the security checkpoint. 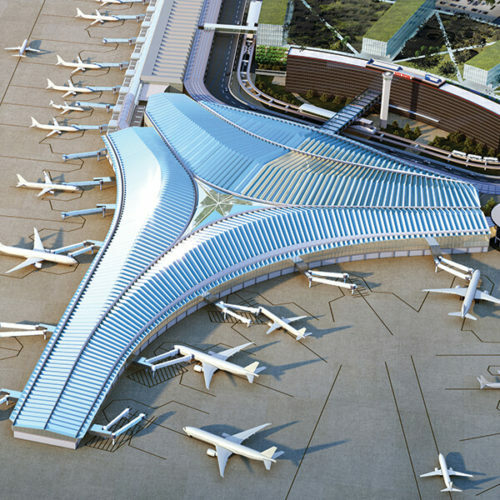 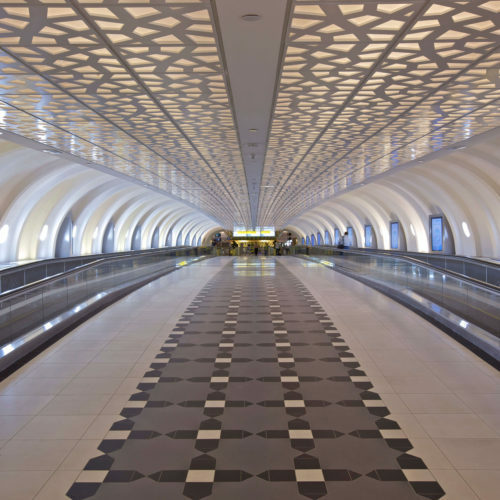 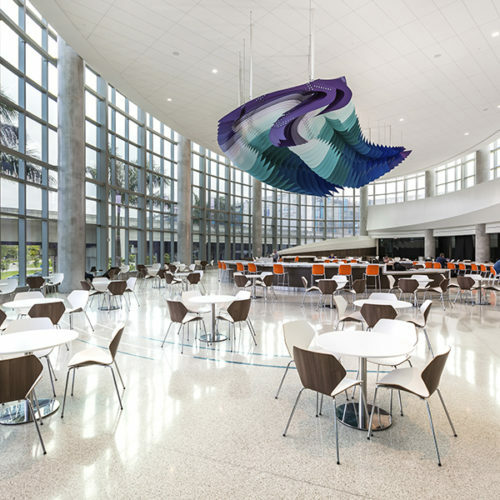 The design of the new terminal will integrate sustainable technologies and improvements in energy efficiency.